However; for the time being India is most likely to be bracketed along with fundamentally weaker emerging markets like China, Brazil and Russia because of the risk avoidance attitude among foreign fund managers. Fundamentally nothing has changed in the Indian Market in the past few weeks. Today's fall was led by a global risk-off mood that has set in with the US and Europe falling, mirrored by the regional markets, continuing weakness of the rupee and at the same time redemption's from exchange traded funds , said Avinash Gupta, MD & head of institutional equity sales, Bank of America Merrill Lynch. There is still room for markets to correct further but a sustainable pullback before the September 17 US Fed announcement is looking unlikely. Some global investors are likely to take a stock specific approach, that is buy into stocks that they believe in and which have particularly been beaten down recently, Gupta, who heads one of the largest foreign broking operations in India, said. In the Indian Market, real estate and metal stocks were the worst hit. 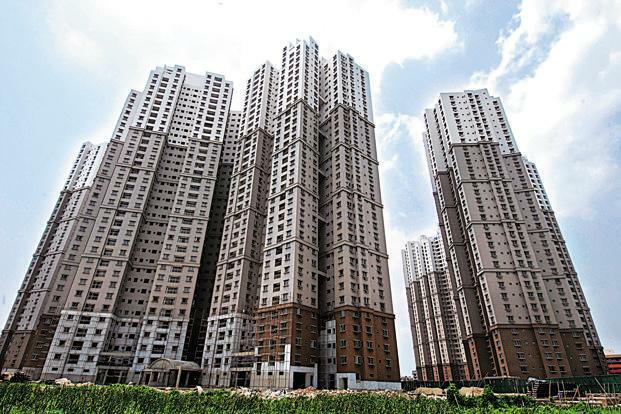 Dealers said real estate stocks too showing weakness, the already struggling real estate sector may see its troubles aggravating while metal stocks crashed on fears that China, the largest importer of metals till recently, will cut down on its consumption of commodities drastically. Globally commodity prices are hovering at levels not seen since 1999 though gold, considered a safe haven during uncertain times, recorded a smart recovery. The day's selling erased about Rs 7 lakh crore from BSE's market capitalization, now at Rs92.4 lakh crore. After about two months BSE's market cap has again fallen below the Rs 100 lakh crore mark. Monday's sharp fall, that saw several of the midcap and small cap stocks crashing over 20% each, may also lead to margin selling of stocks of speculators by broker on Tuesday morning. At times of sharp dips in stock prices, if speculators who had bought stocks on borrowed money can not make up for their losses, brokers are forced to sell those stocks to cut further losses. Such selling , called margin-based offloading, often pulls the market even further down, thus delaying a recovery.